Slipping transmissions are more common in automatic cars than manual ones. The former would have a variety of symptoms while the latter would involve clutch problems. It works best to identify the problem at once to avoid further complications. In case certain parts have a problem, we have Mercedes Benz transmission parts for sale that can replace your worn out parts. Here are some signs you can watch out for and look into to see whether or not your transmission is starting to slip. You might have a leak in case you just recently filled up your transmission fluid. Always check your car fluids on a regular basis. Unsecured bolts or seals, worn out transmission pan gaskets, or perforated transmission fluid lines are the most common causes for the leaks. Have the old fluids drained and replaced with a new one when troubleshooting the leaks. When your car is idle and you hear a squeaking sound, chances are that you have a broken universal joint in your car. Your wheels then won’t be able to get the power they need. It’s better to call your car mechanic if you don’t know how to repair or replace the universal joint. If you hear a grinding noise while your car is in gear, the needle inside the torque converter may be overheating and thus damaged. You won’t hear that noise while your car is in neutral so give it a drive and you’ll know what we mean. 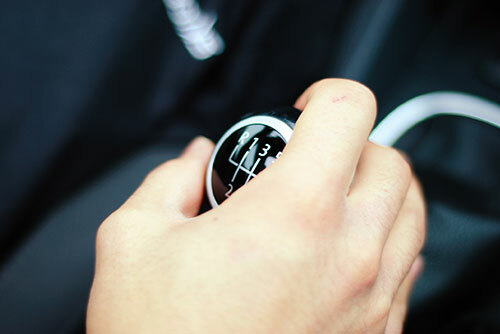 Is your car too slow in shifting gears when you use the clutch? It might be stuck which in turn might lock up the solenoid since the torque converter doesn’t have enough transmission fluid in it. Your car then would start shaking and its temperature will rise. Have your car mechanic check it out before you give it a drive. The solenoid determines the flow of transmission fluids. If it is damaged, your car would behave as if there is a leak even though there isn’t. Electrical issues or poor fluid levels would normally cause this. If your car has problems shifting gears even if there are no leaks, then you should have your solenoid check by a mechanic. If your car is unable to reverse, then that is a sure sign of a transmission failure. You may hear a weird sound while attempting to shift gears along with a burning smell which you should watch out for. Always remember that the earlier the problem is addressed, the better. Small problems tend to become big ones and this is true for complex machines like cars. Ignoring a problem might lead you to more expensive parts and repairs in contrast with a simple one while the problem is still small. Find a certified mechanic and a shop like ours that has authentic Mercedes Benz transmission parts for your transmission problems and troubleshooting. There are certain repairs that are better done by a professional to avoid further complications.